J. Kenneth Leap, stained glass artist-in-residence at Glencairn Museum. Ken Leap is the stained glass artist-in-residence at Glencairn Museum, an ambassador artist for the WheatonArts & Cultural Center in Millville, New Jersey, and has recently been elected President of the American Glass Guild. Ken is primarily recognized for his achievements in the field of architectural stained glass, working in a tradition that dates to the cathedrals of medieval Europe. His painterly work in stained glass has earned him numerous awards, including a fellowship from the New Jersey State Council on the Arts. Articles about his work have appeared in The Philadelphia Inquirer, The New York Times, Architecture of New Jersey, Professional Stained Glass Magazine and Stained Glass Quarterly. Ken Leap recently took time out of his busy schedule to answer some questions about his educational work at Glencairn Museum and Bryn Athyn College; his research into the remarkable history of the Bryn Athyn glassworks, which made stained glass windows for Glencairn and Bryn Athyn Cathedral; and what fascinates him personally about the “lost art” to which he has devoted his professional life. Ken, how did you first become interested in creating stained glass windows? The church I attended as a child had lovely stained glass windows, and supposedly I made a rose window in Sunday school that was pretty remarkable, although I have no memory of it! I went to the Rhode Island School of Design to study illustration, but in my sophomore year I transferred into the glass department. I learned to blow glass and cast glass and to work with it as a sculptural medium. However, the longer I spent in the program the more I missed drawing and painting—I think two-dimensional design is my primary art-making language. Figure 1: J. Kenneth Leap painting details on a stained glass panel. How did you first become involved with Glencairn Museum? Figure 2: Ken Leap demonstrating glass painting in Glencairn's Medieval Gallery. I was invited to do a glass painting demonstration at Tyler School of Art. It was the glass instructor, Anna Boothe, who first told me about Bryn Athyn and its glass-making history. But it was another three years before I visited myself. I toured Bryn Athyn Cathedral and later came to the Medieval Festival at Glencairn. I had been teaching “medieval style” glass painting workshops at my studio at WheatonArts in Millville, New Jersey, for several years using photographs as references, and so I offered to teach that workshop at Glencairn. When it came to fruition and I had the opportunity to teach in the Medieval Gallery surrounded by 12th-century stained glass panels, it was a dream come true! What are you teaching now at Bryn Athyn College, and what will you be teaching at the Bryn Athyn Sacred Arts workshops this summer? Figure 3: Bryn Athyn College students with their class projects. The title of my class at Bryn Athyn College is “Glass Painting,” but the students also learn to cut glass and assemble the pieces with lead came, so they learn to create traditional stained glass panels. I am primarily an architectural glass designer, so I teach the class from that perspective. We also do some experimentation with fused glass. For the Sacred Arts workshop this summer my students will cut glass, and paint and assemble a stained glass panel. They will get a good introduction to the medium, and of course tour the magnificent collection at Glencairn Museum. Staging the workshop in Bryn Athyn really sets this program apart because of the glass-making history of the community and the amazing resources to be found here. You would have to study in Europe to find any program comparable to the one we are setting up at Bryn Athyn College. I think few people appreciate how unique this opportunity is. Tell us about the first time you entered the old barn in 2006, where the tools and furniture from Bryn Athyn’s glass factory had been stored ever since the factory was torn down in the 1950s. 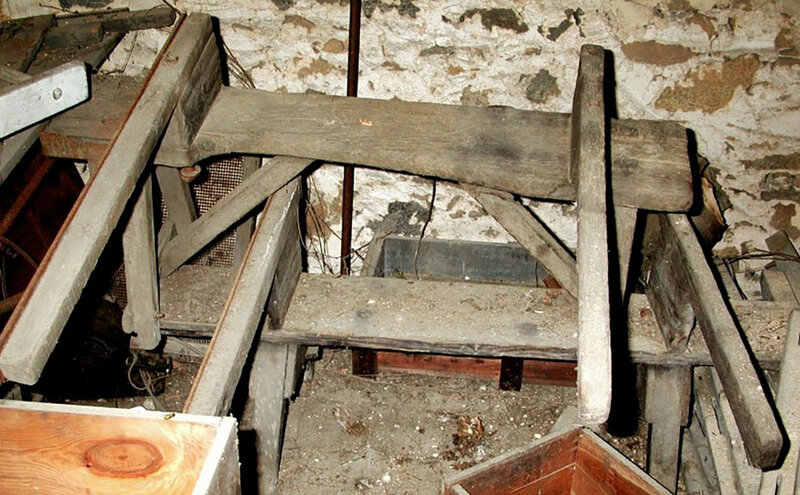 Figure 4: These glassblowing benches were discovered in an old barn on the Glencairn property. That was an amazing day I will never forget. It was as close as I have ever come to an archaeological treasure hunt. To “uncover” the actual tools used by the craftsmen in the Bryn Athyn glassworks was thrilling—including two glassblowing benches actually used in the factory for many years (Figure 4). These men made it their life’s work to create some of the finest mouth-blown sheet glass ever produced in America—all for the Bryn Athyn Cathedral and Glencairn. The story and the quality of this glass is virtually unknown outside of this small community. It was a privilege to be able to rescue what we did from that crumbling barn and work with the Museum to piece together the story of glass making here in Bryn Athyn. Have you made any interesting discoveries about how stained glass was created for Bryn Athyn Cathedral and Glencairn? After that initial “digging” into the glass-making story in 2006, I took up the trail and spent about three years off and on researching clues into the secret of the Bryn Athyn glassworks. One of the crowning achievements of the craftsmen is the remarkable red glass they produced. Aside from its chemistry, it is a perfect match to the striated red glass of the medieval period—especially the glass produced in France. I followed a trail that led me to other collections in the Corning Museum of Glass, the Smithsonian Institution, and the Washington National Cathedral. I had the opportunity to talk with descendants of the original Bryn Athyn craftsmen as well as contemporary glass makers and chemists. Figure 5: Ken Leap presenting a poster at the international forum of the Corpus Vitrearum in Lisbon, Portugal, 2011. Working with my friend and colleague Jason Klein of Historical Glassworks, who has done many glassblowing demonstrations at Glencairn, I even had the opportunity to try to recreate the illusive “striated ruby” glass. This all culminated in September of 2011 when I had the opportunity to present a poster at the international forum of the Corpus Vitrearum in Lisbon, Portugal. My poster from that symposium has been added to the permanent glassmaking exhibition at Glencairn Museum, and a synopsis of my research is available at the Swedenborg Library in Bryn Athyn as well as on my blog, Seeing Red: The Quest for Medieval Striated Ruby. What do you like best about working at Glencairn Museum? The staff at Glencairn have all become like family to me. Of course it’s also wonderful to be able to sign out the keys to the stained glass storage room and examine an 800-year-old panel whenever I like! I feel very fortunate to have been led to this place. It is truly a blessing.